Tonight we will watch a special match at the Bird’s Nest. This match presents a wonderful combination of time and space. As for the time, the London Olympics will kick off in several hours. As for the place, it is in the Bird’s Nest Stadium that the sacred flame of the Beijing Olympics was lit four years ago. Tonight is also a happy party of football and friendship. Two strong teams of the English Premier League – Manchester City and Arsenal, come from the birth place of the modern football to the world’s origin of football sport for a champion. 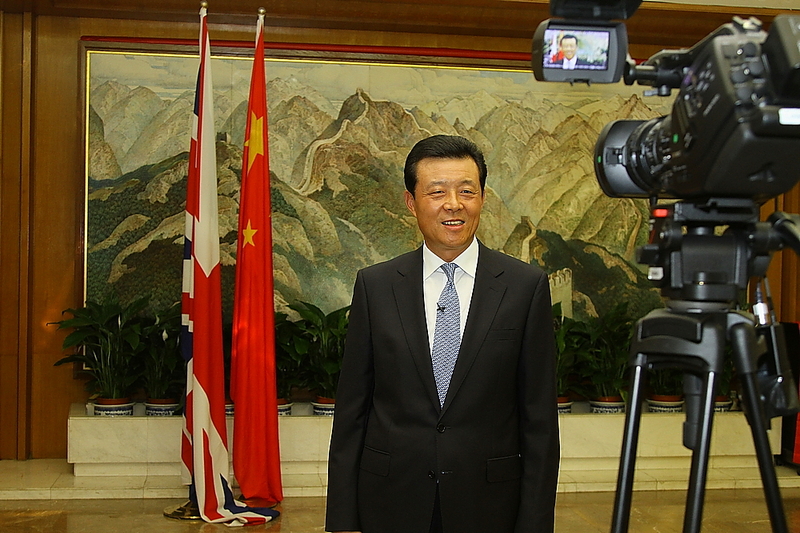 I believe that they will bring us not only their superb skills of the world class teams but also the good wishes for promoting the friendship between the Chinese and British Peoples. I wish the match tonight a wonderful success. I wish you a happy and memorable night! Thank you.